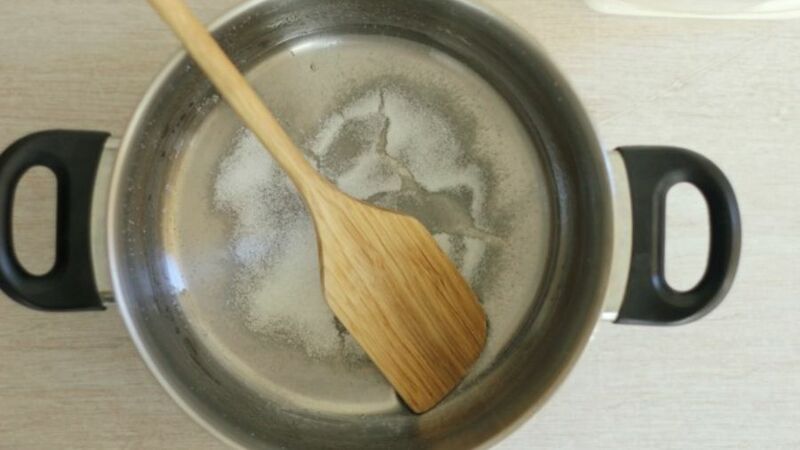 In a pot, melt the sugar over low heat, stirring continuously so it doesn’t burn. 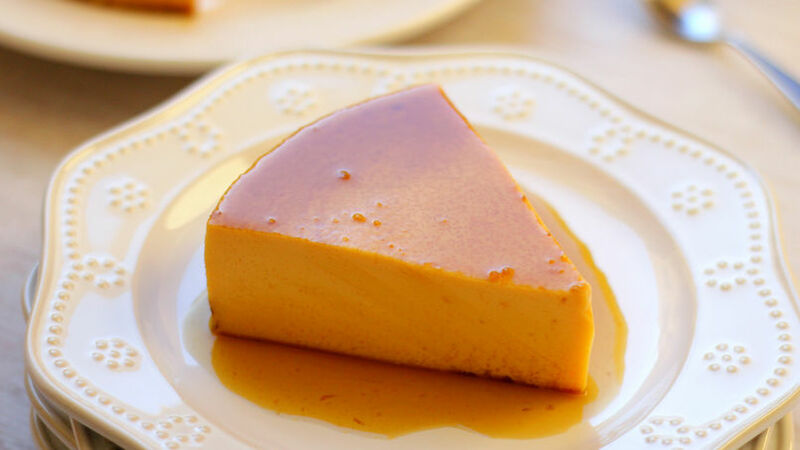 Once it turns into caramel, pour it into a mold for flan and let it cool down. Blend the rest of ingredients. Pour this mixture into the mold, over the hard caramel. 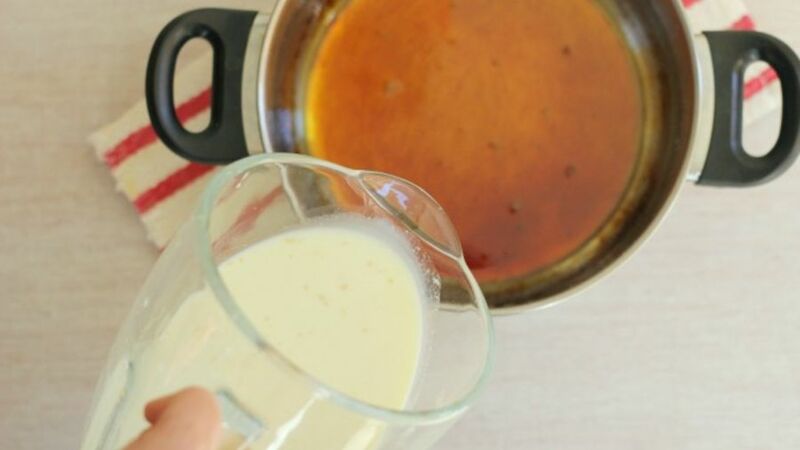 Cover the flan and put it in a large container with water so it can cook in a water bath (Bain Marie). 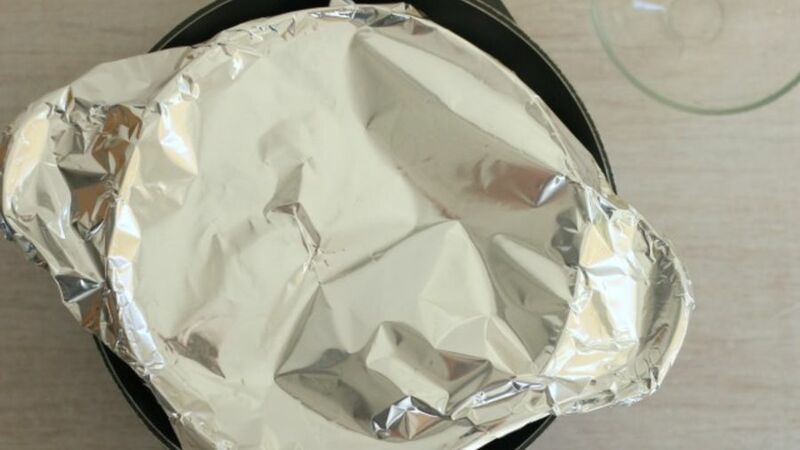 Bake at 425°F for 1 hour or until you get a firm consistency and until a knife comes out clean when you introduce it into the flan. Let it cool down and remove from the mold. If you don’t have any rompope, you can add a touch of rum to the mixture and 1 teaspoon vanilla.